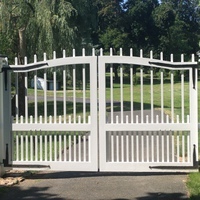 Whether for aesthetic and or security, entry or estate gates present a great impression and a sense of security for those entering or passing by your home. 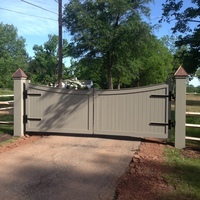 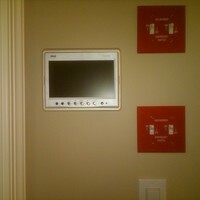 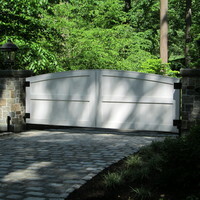 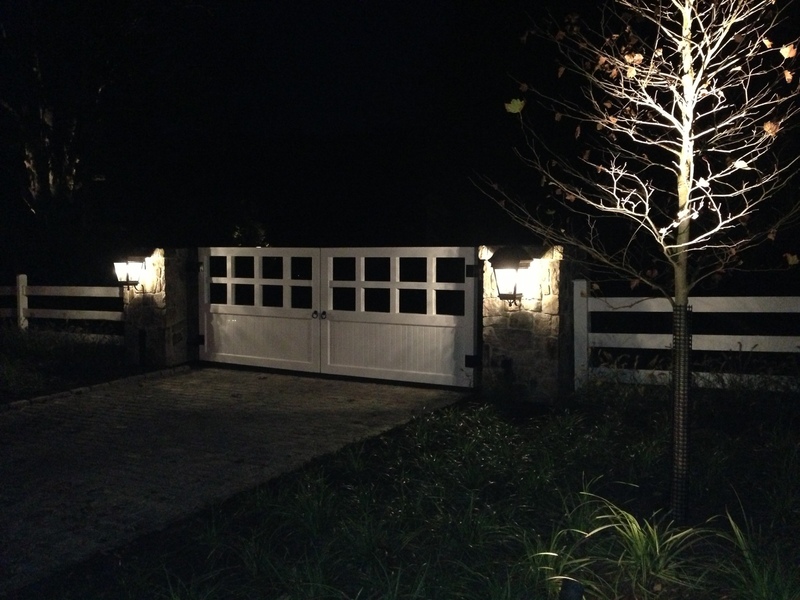 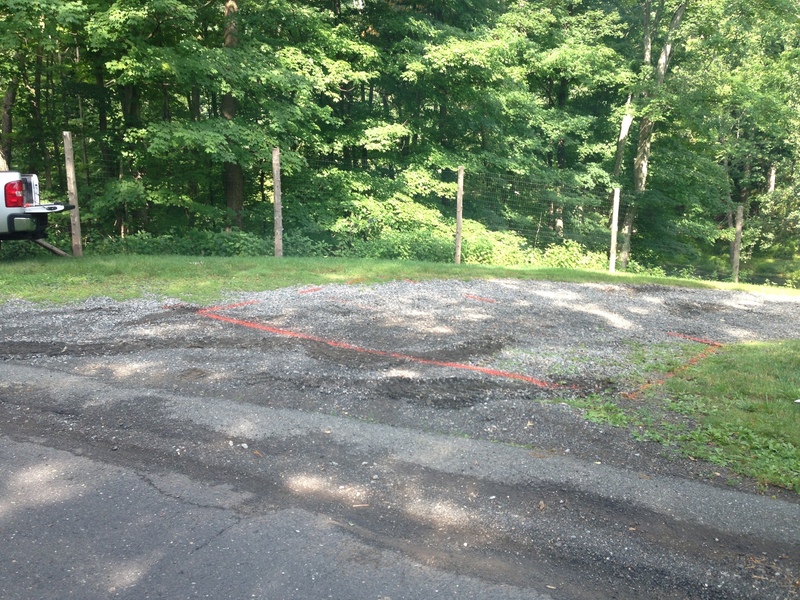 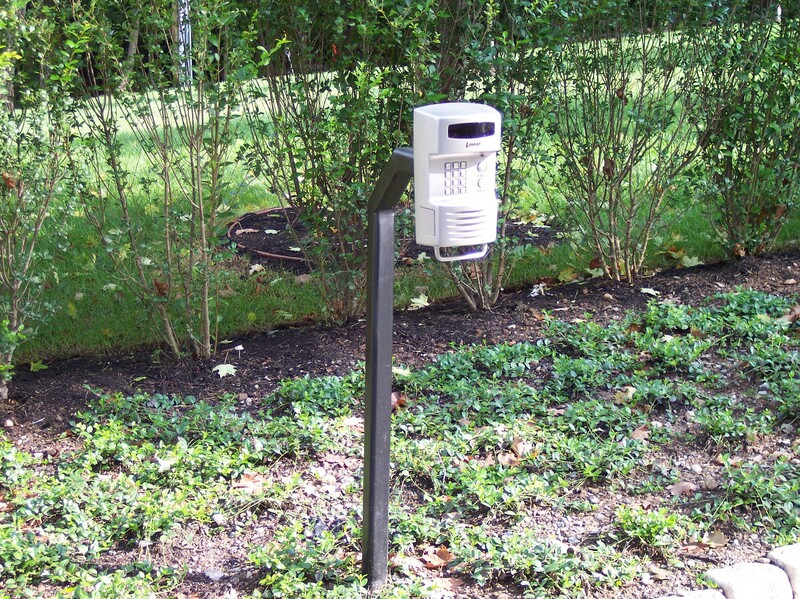 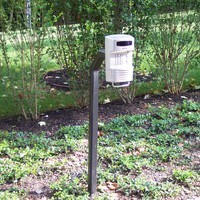 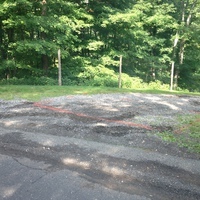 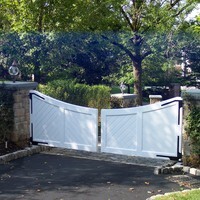 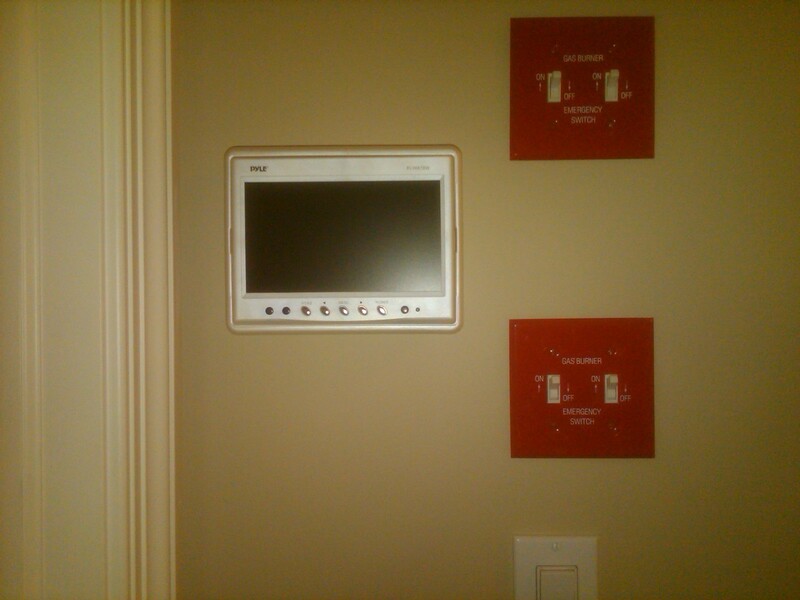 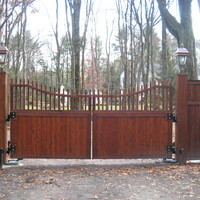 We handle all of the aspects of the gate install with our in house staff. 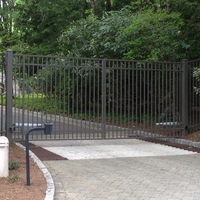 This eliminates the problems that can arise form to many companies involved in one project. 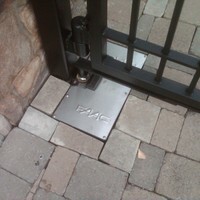 From the support system inside the pier or post to the tieing in of the security system we are involved in every step. 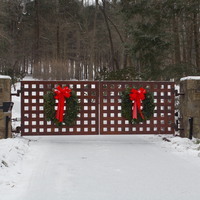 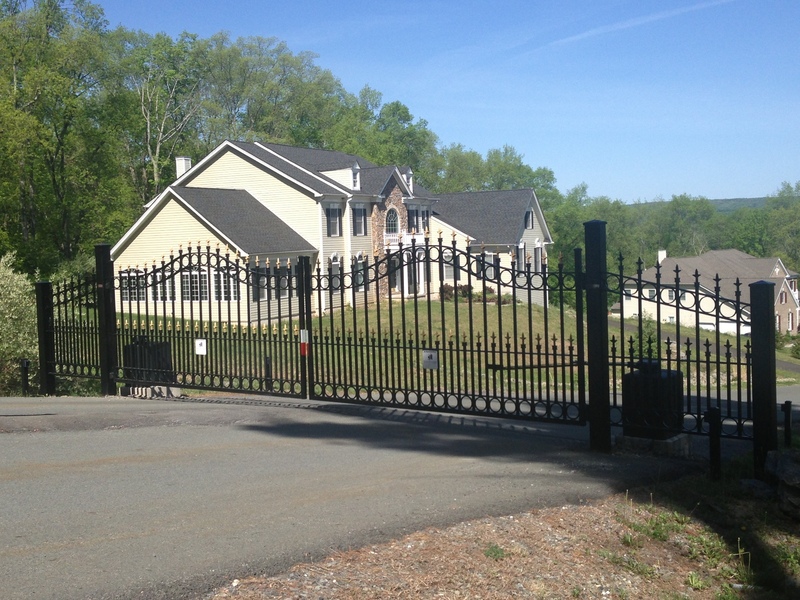 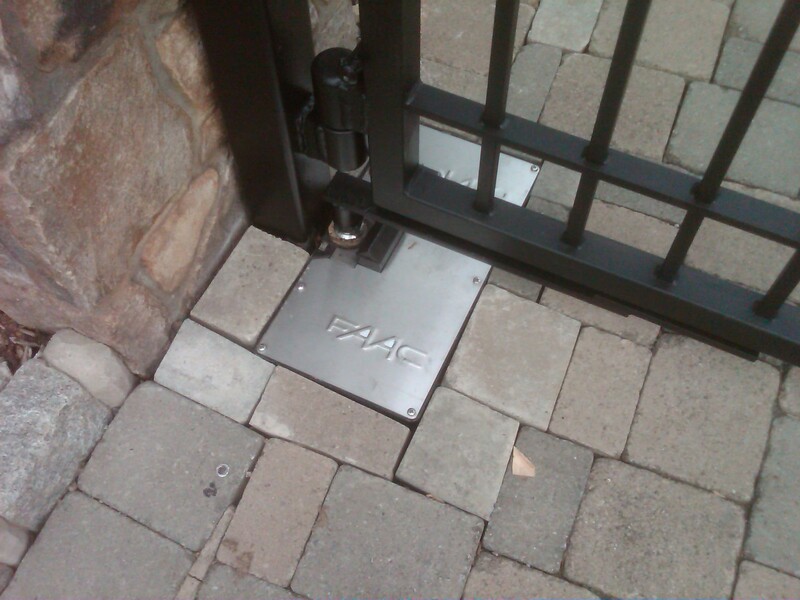 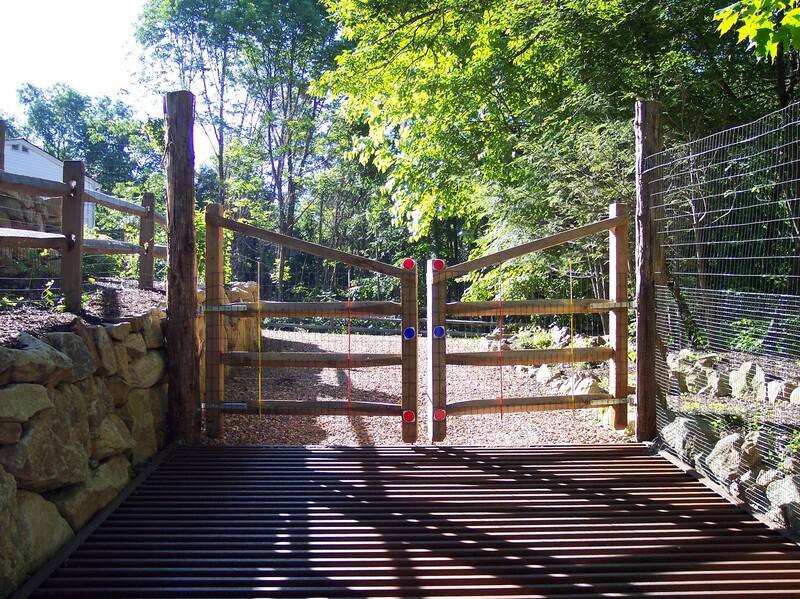 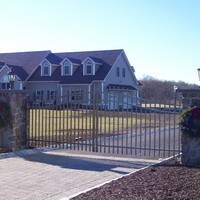 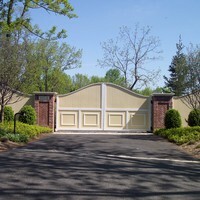 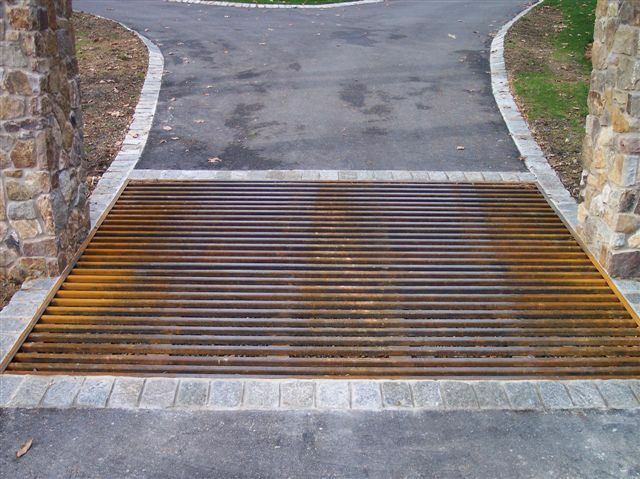 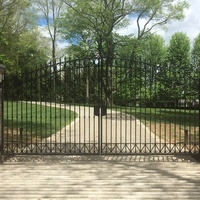 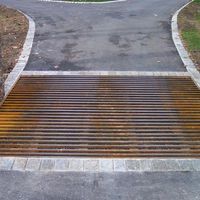 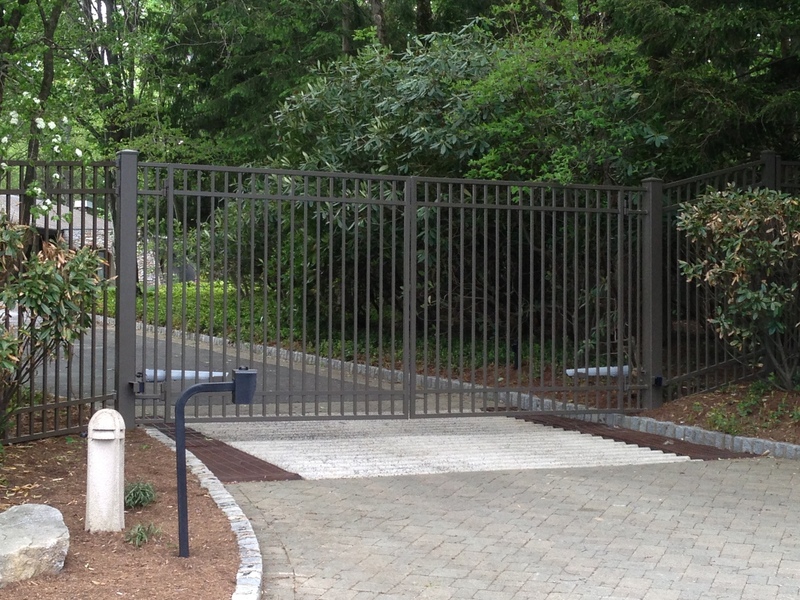 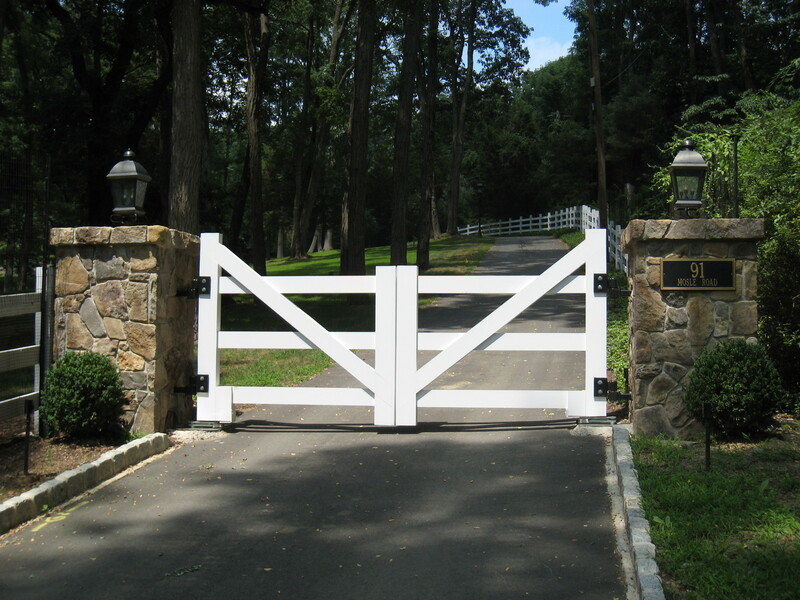 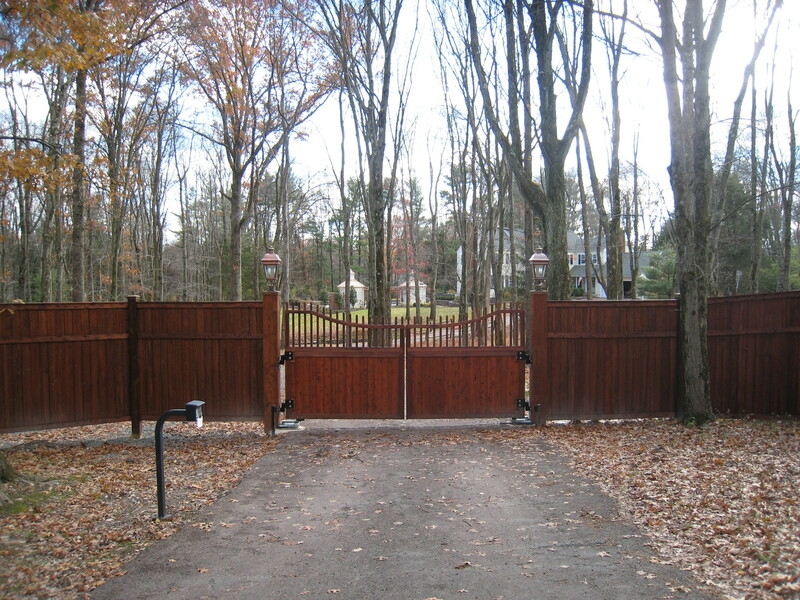 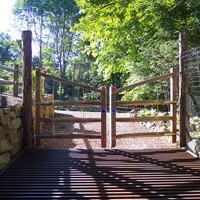 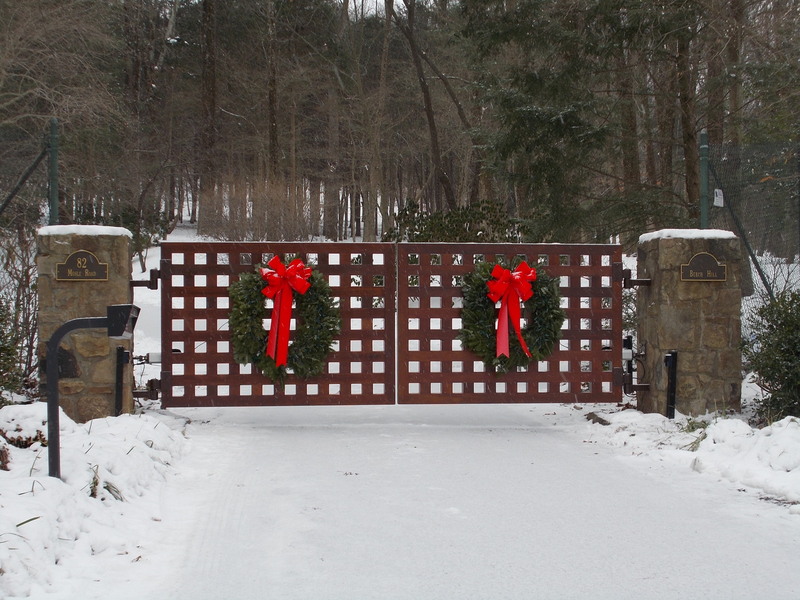 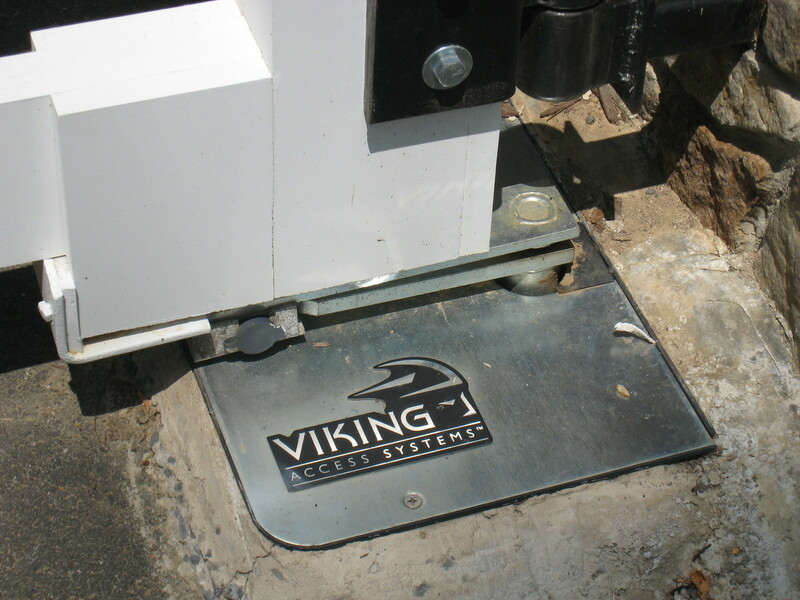 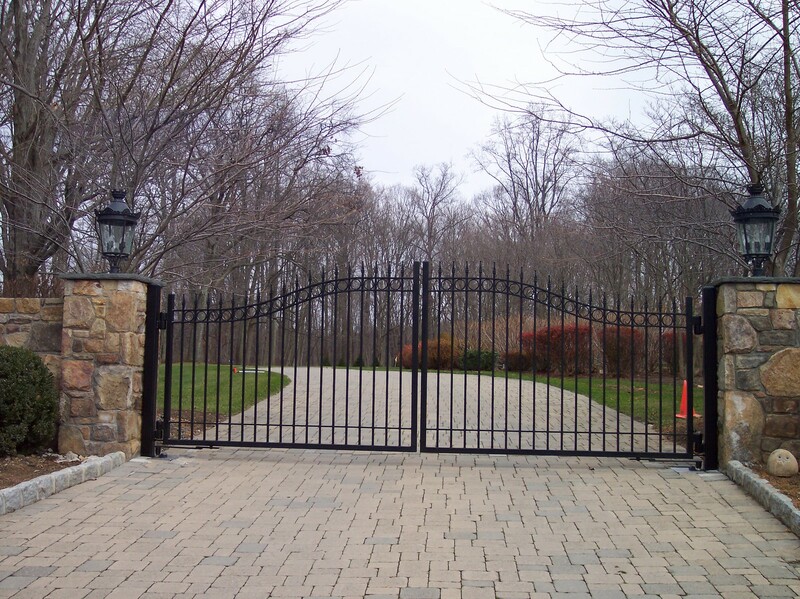 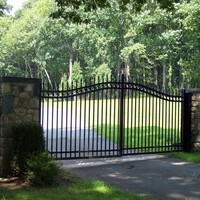 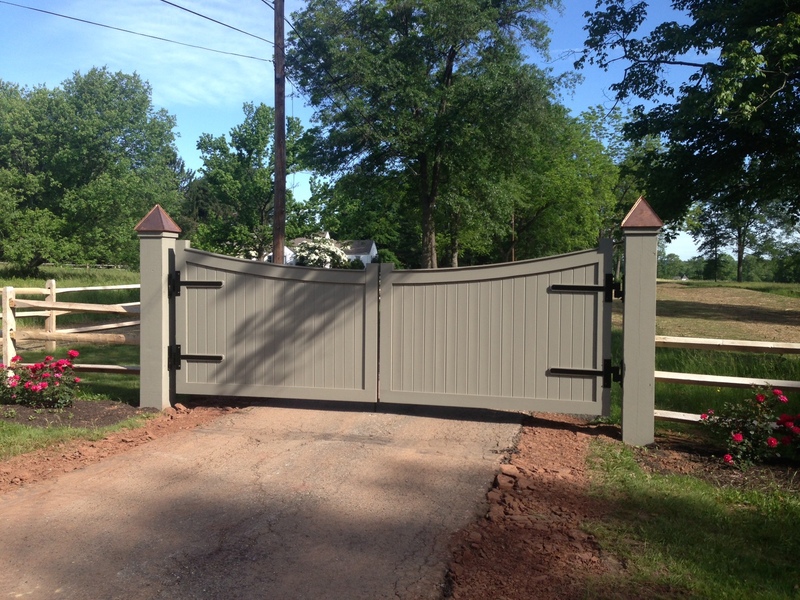 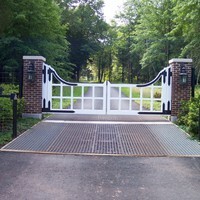 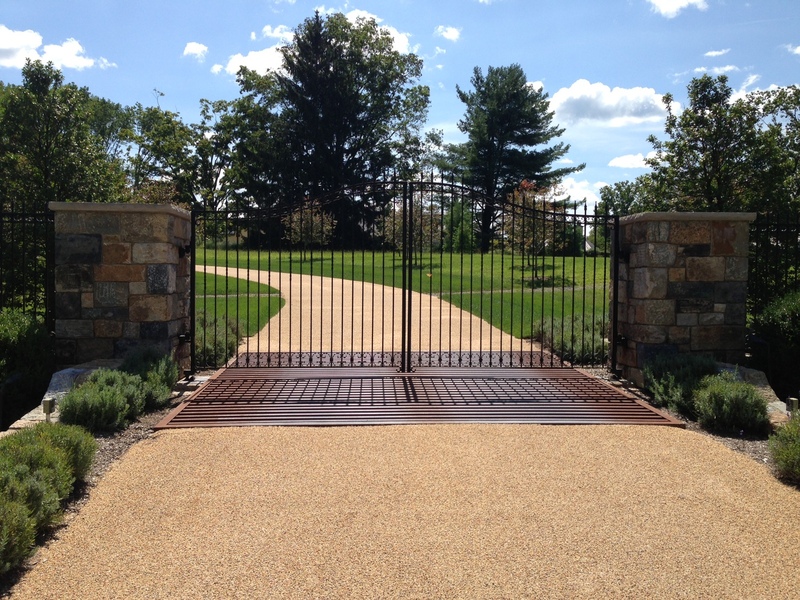 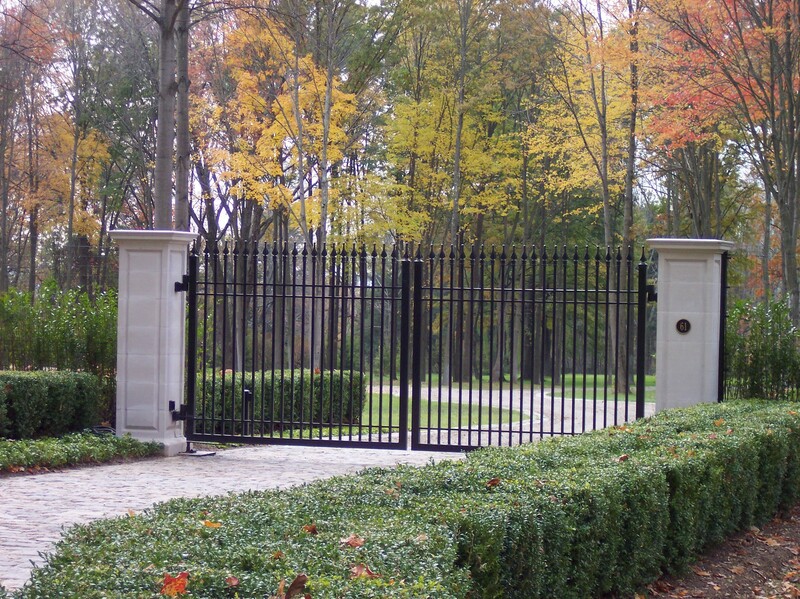 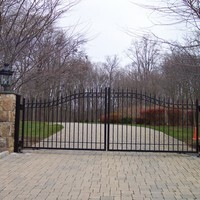 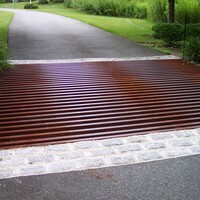 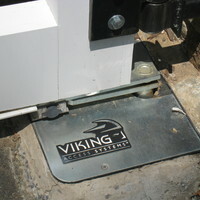 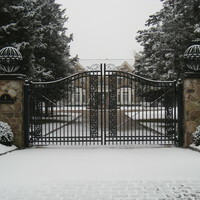 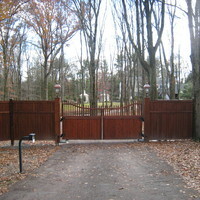 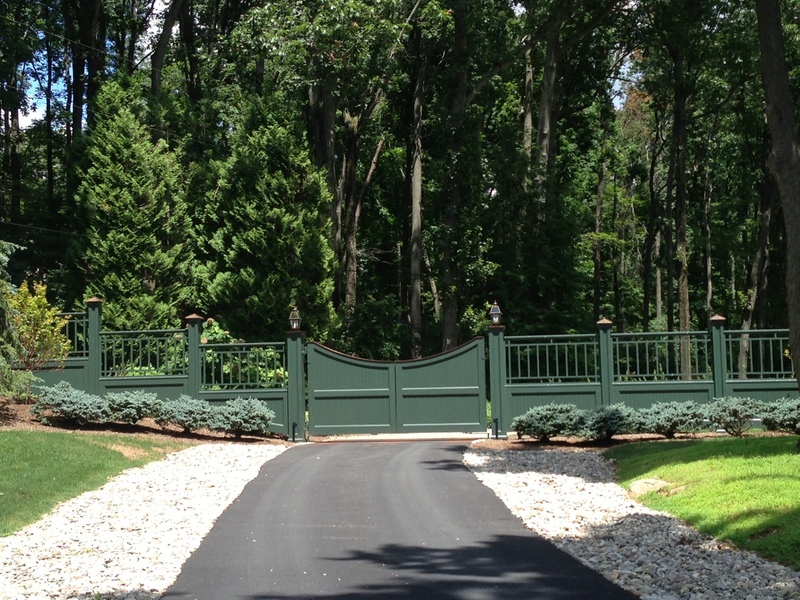 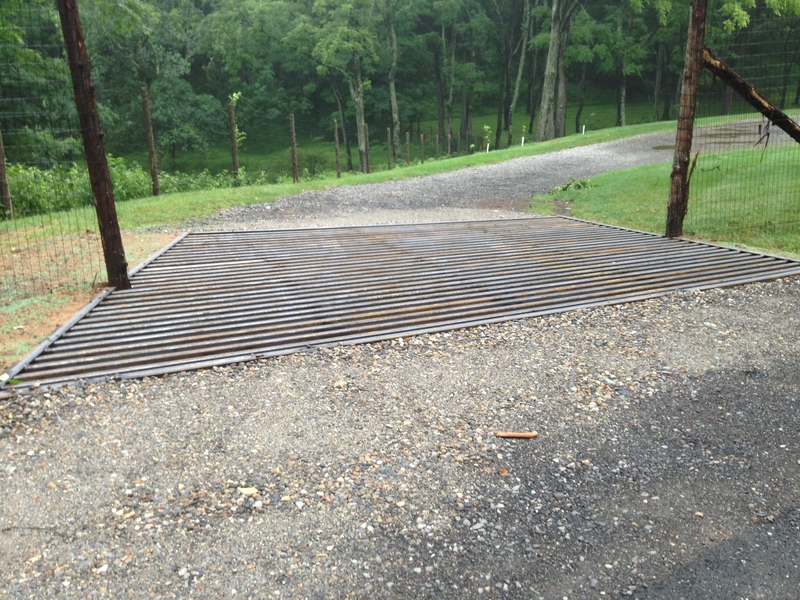 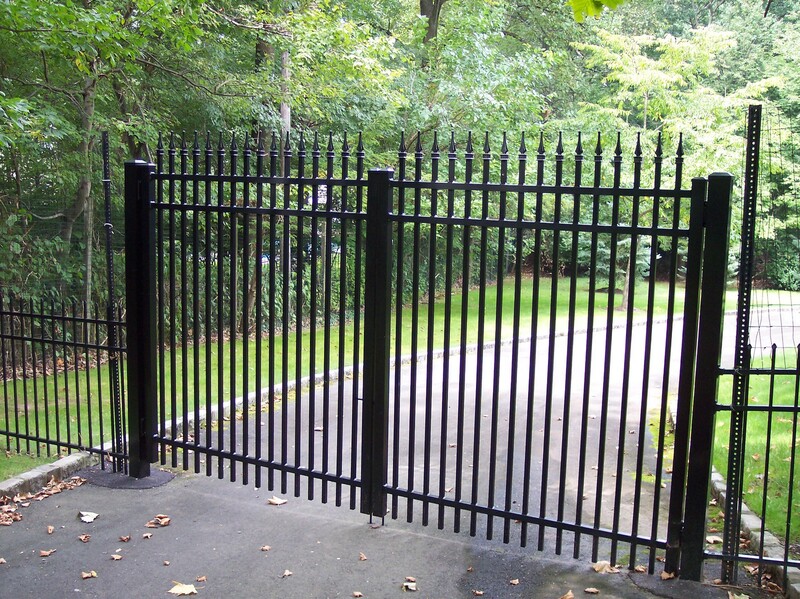 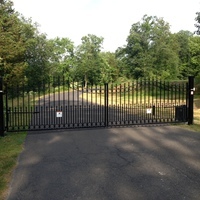 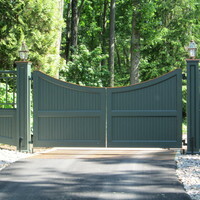 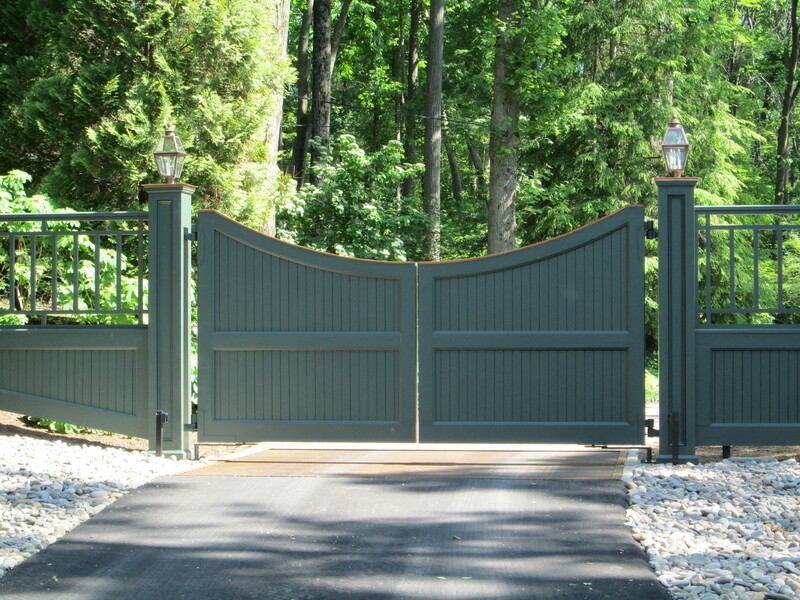 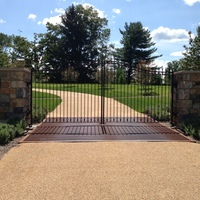 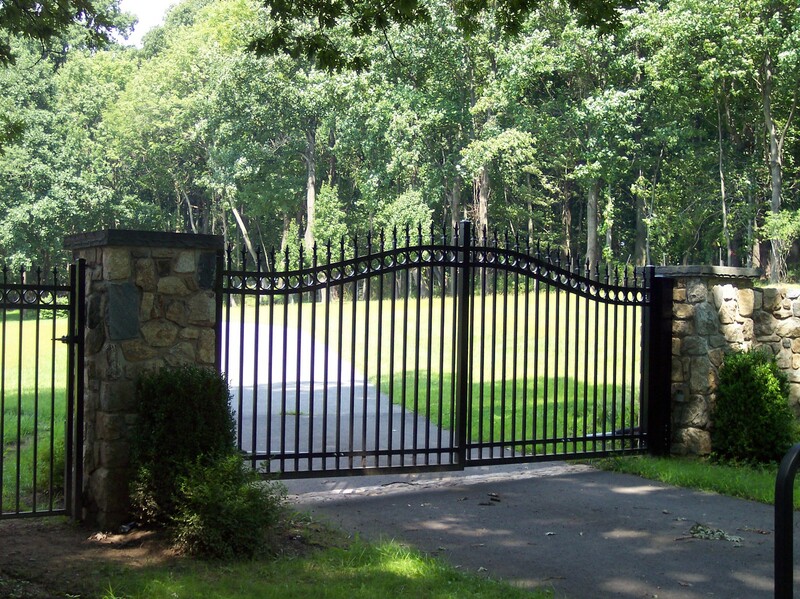 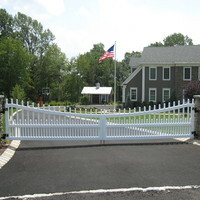 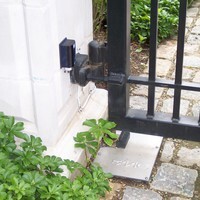 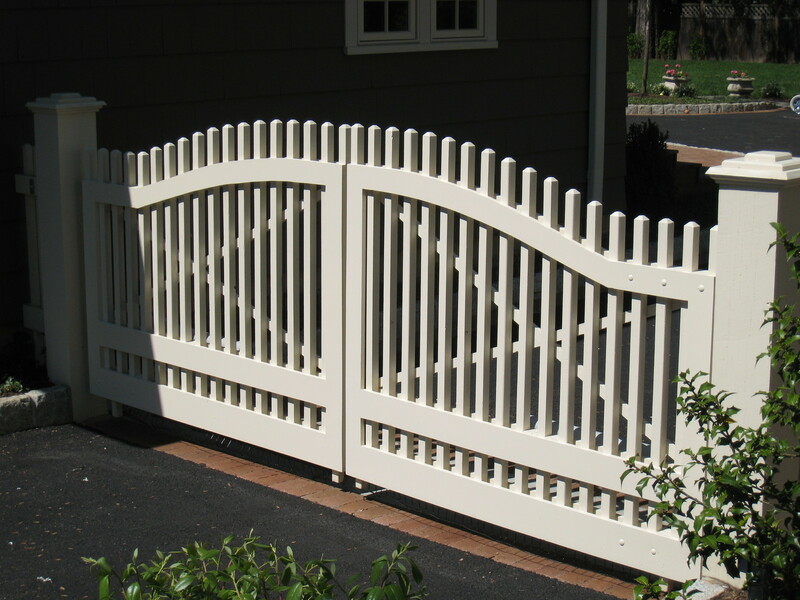 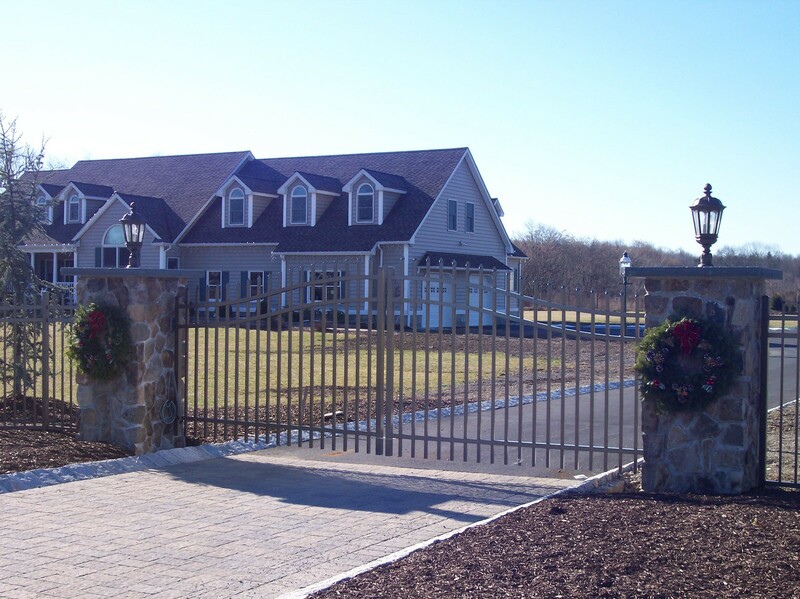 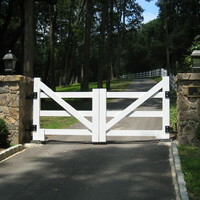 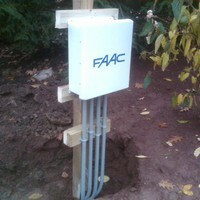 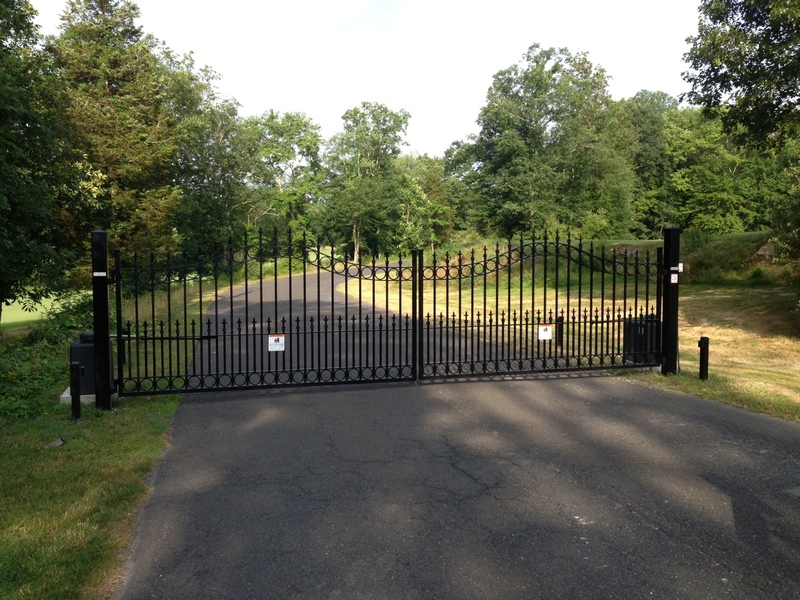 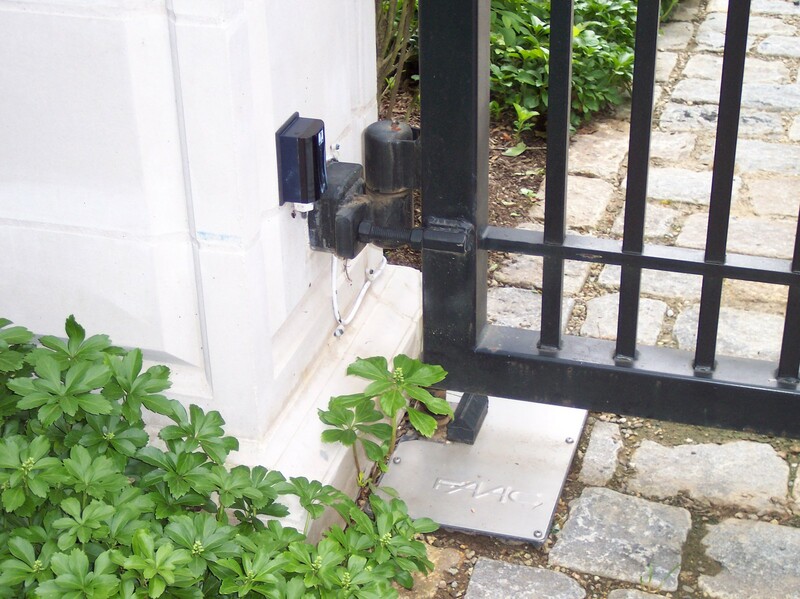 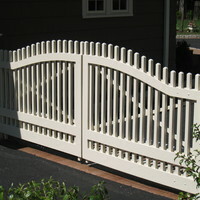 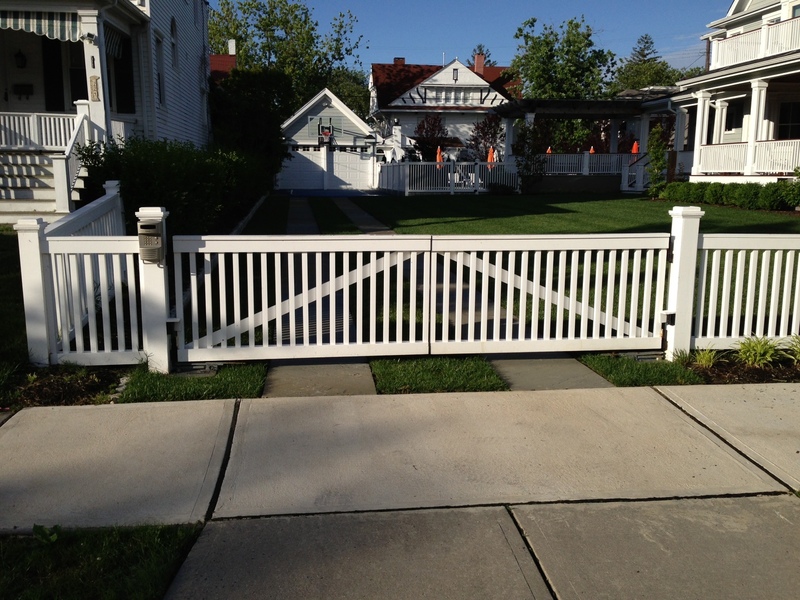 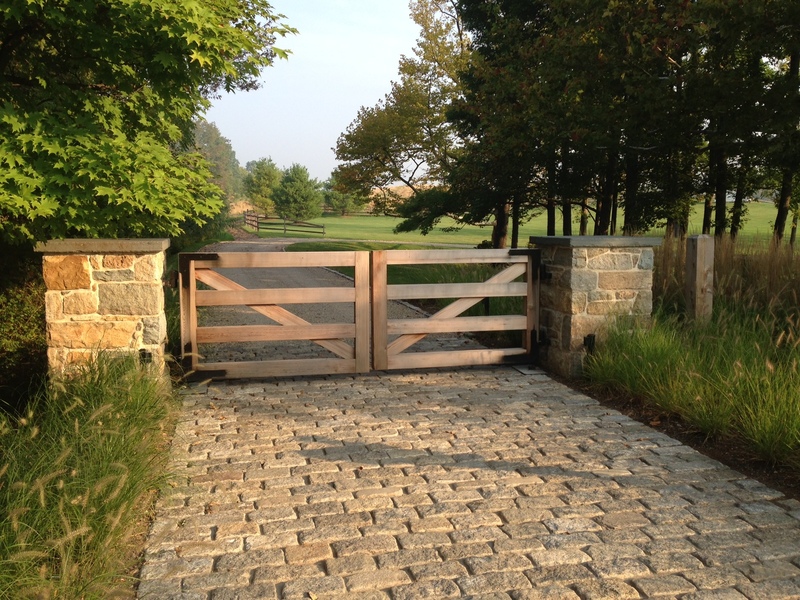 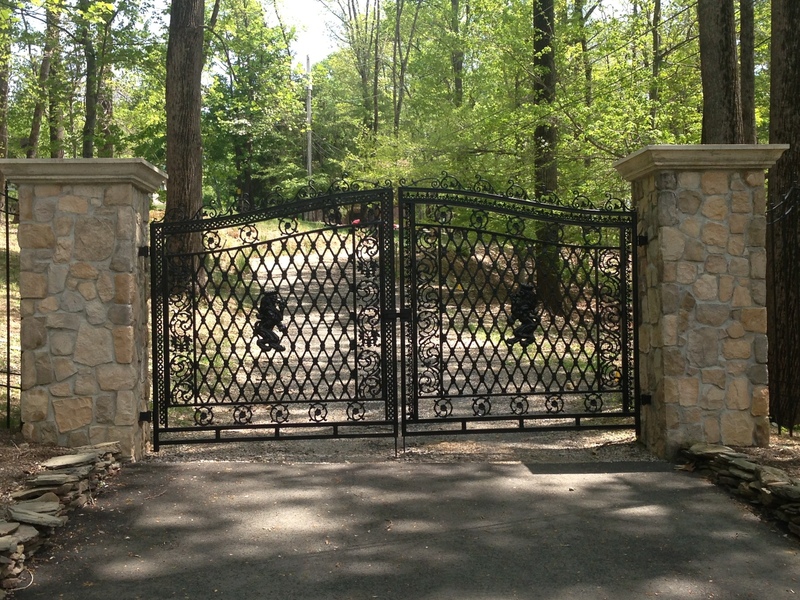 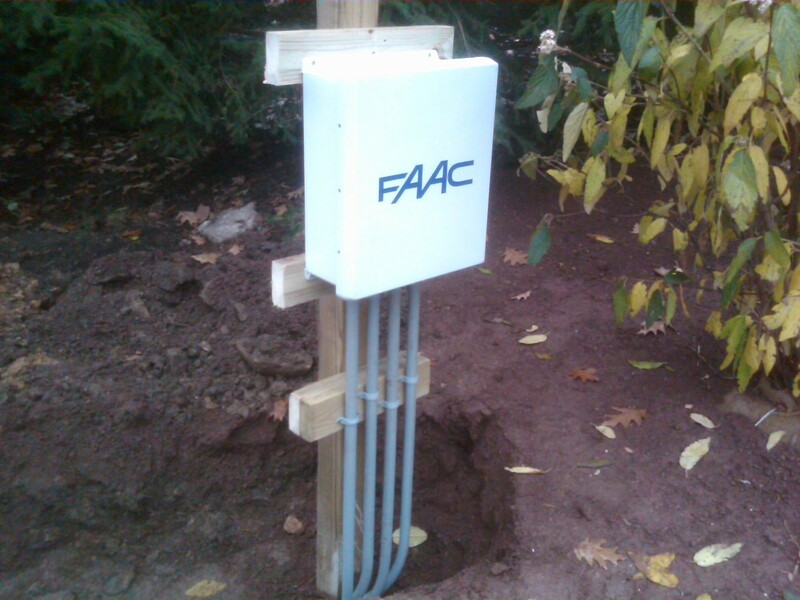 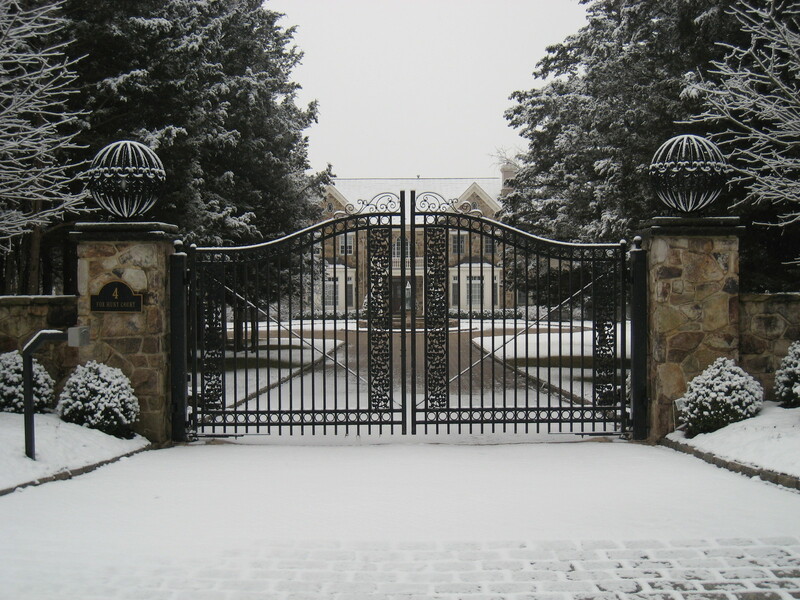 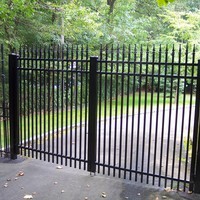 We have the staff to design,build,weld,engineer,install, and maintain your gate system. 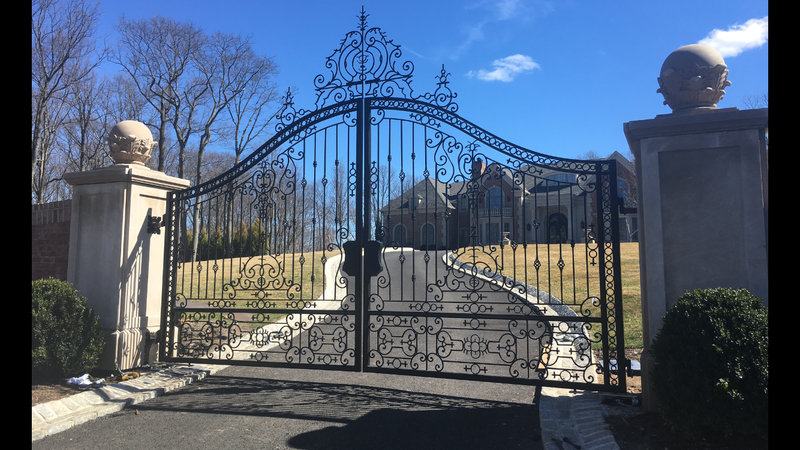 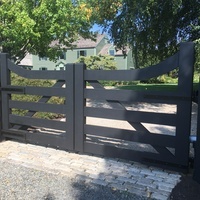 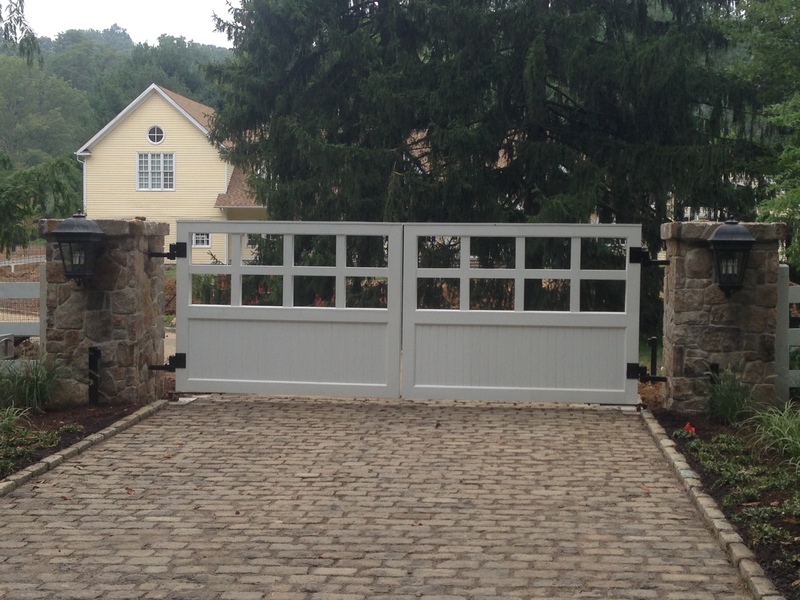 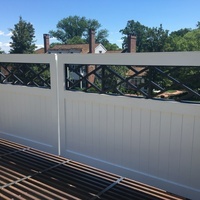 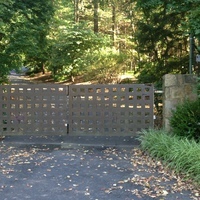 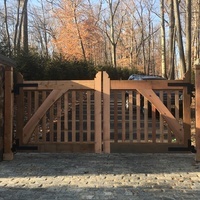 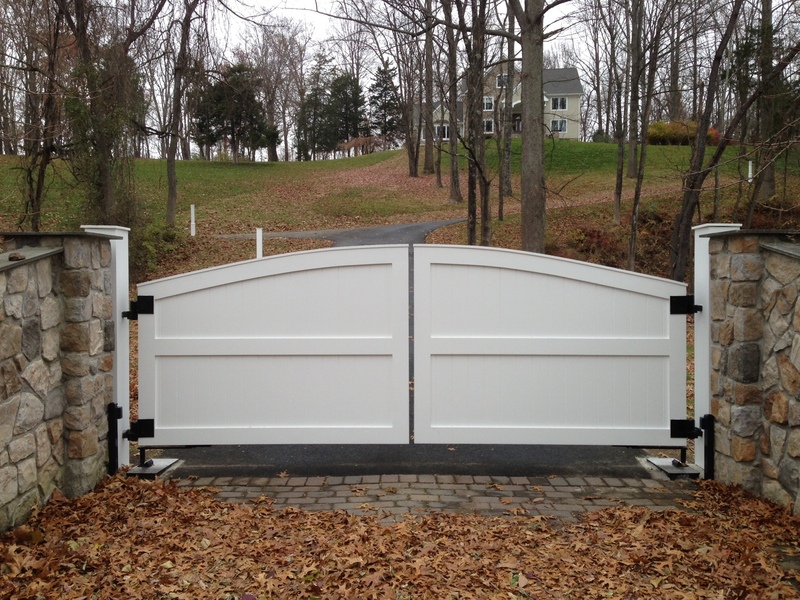 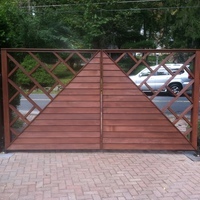 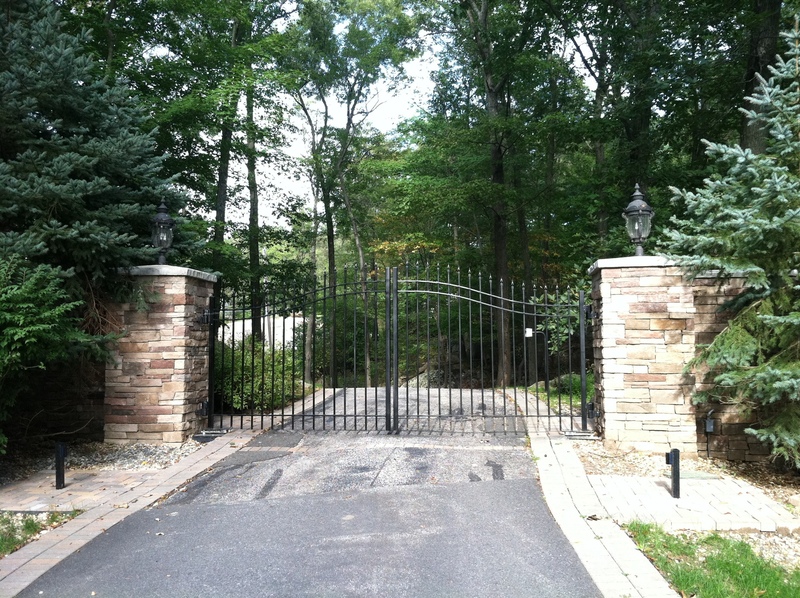 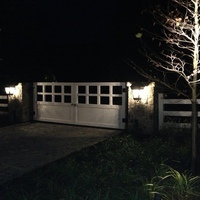 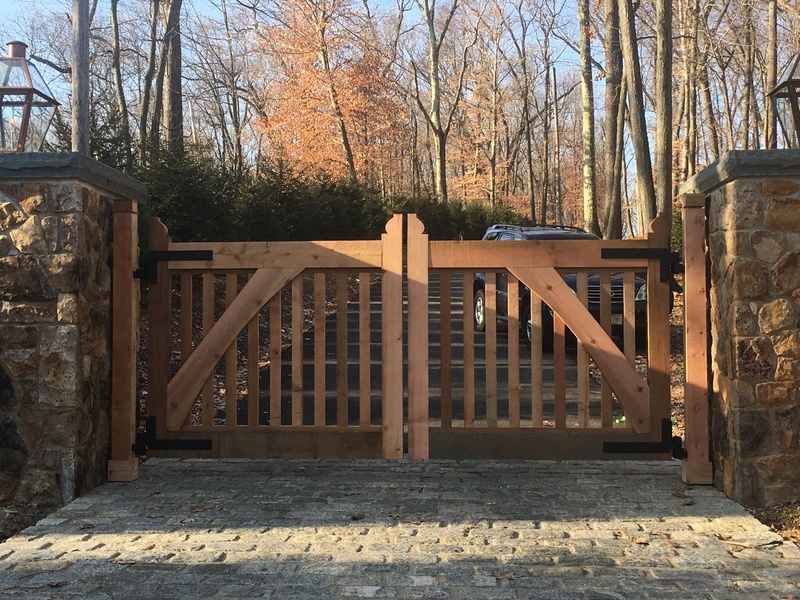 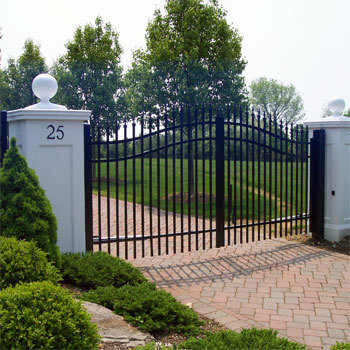 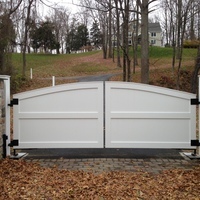 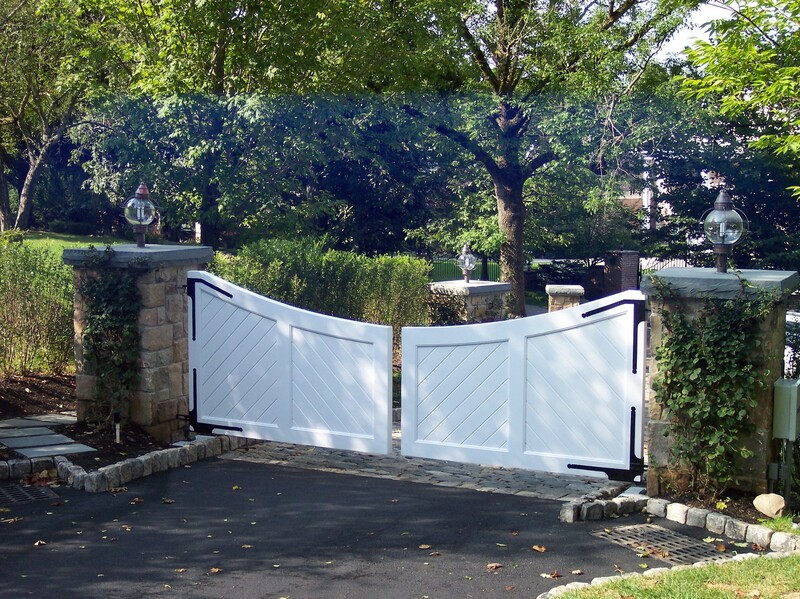 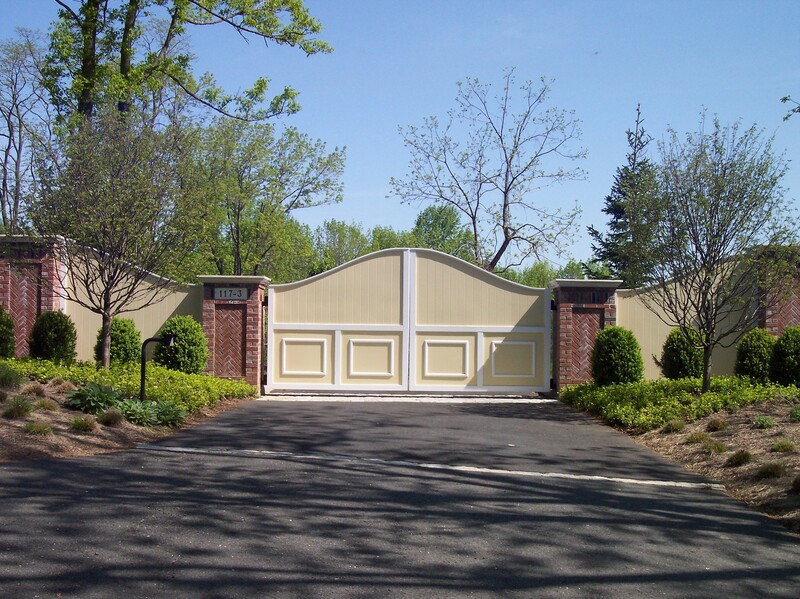 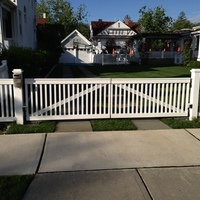 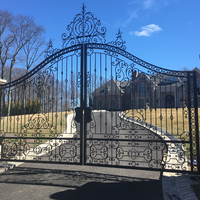 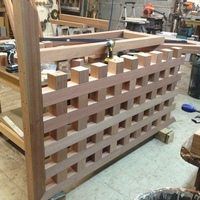 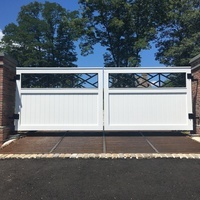 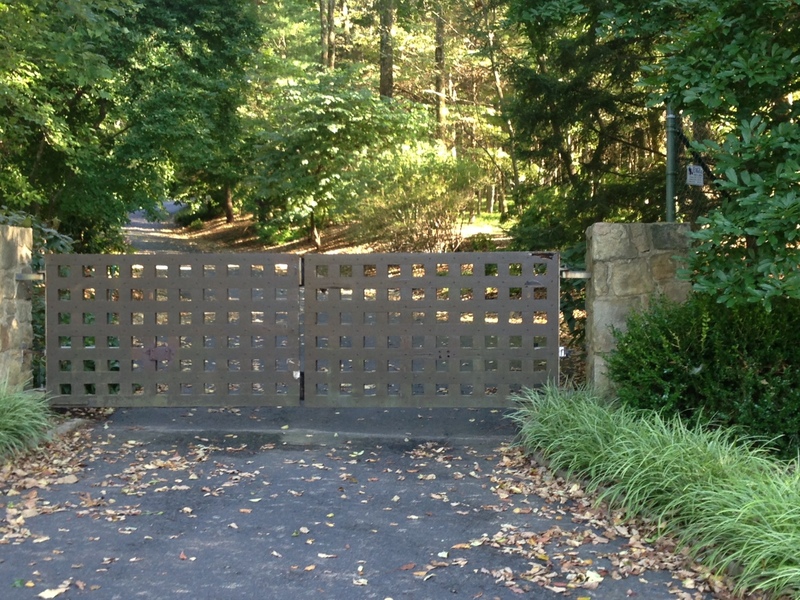 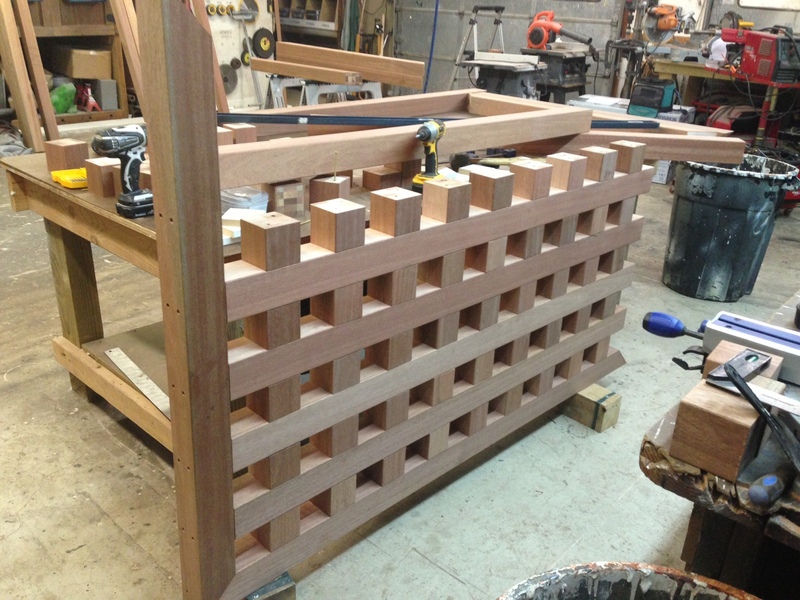 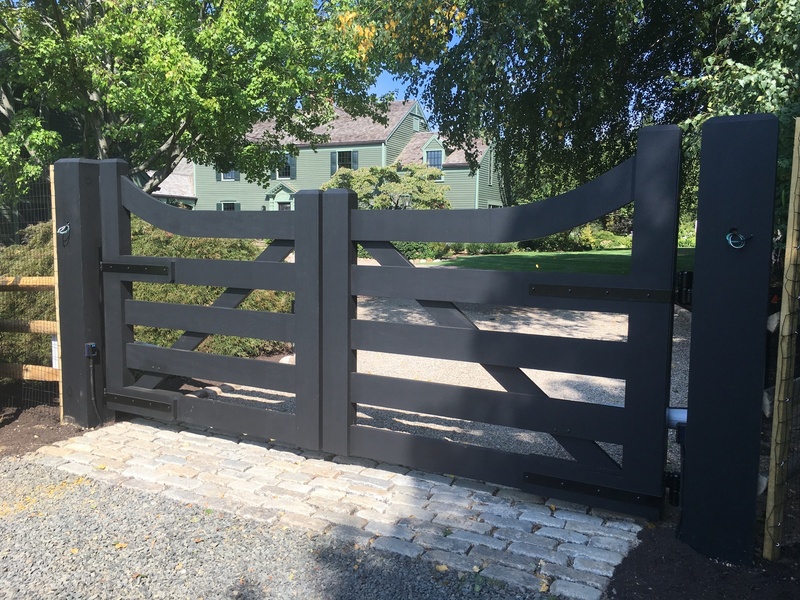 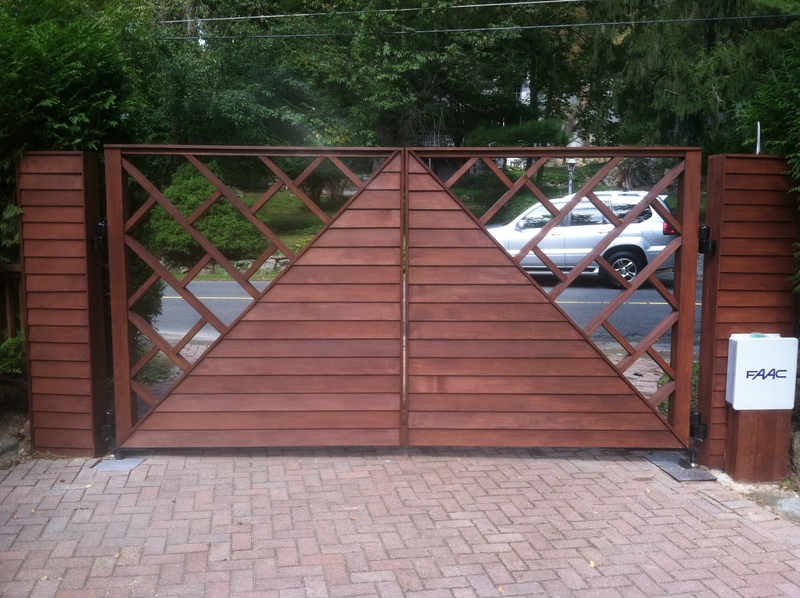 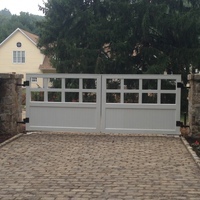 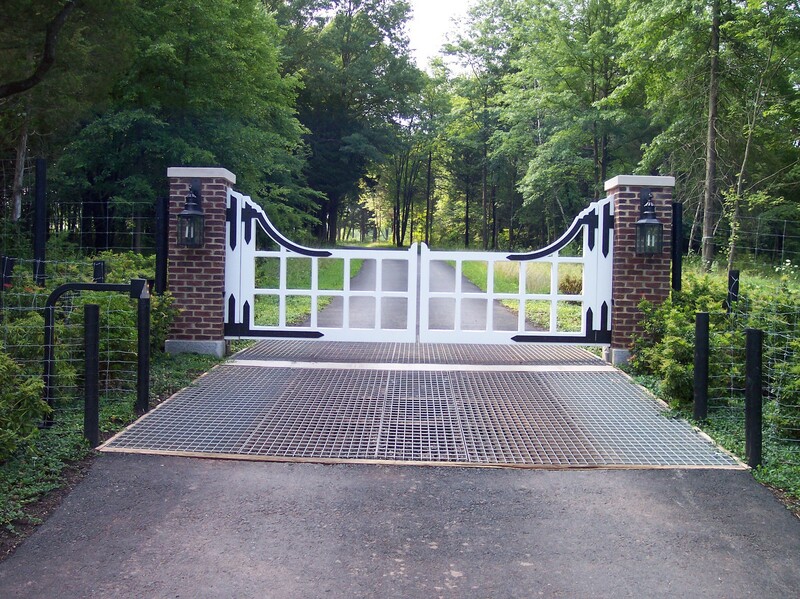 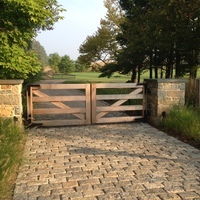 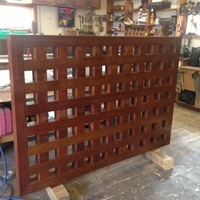 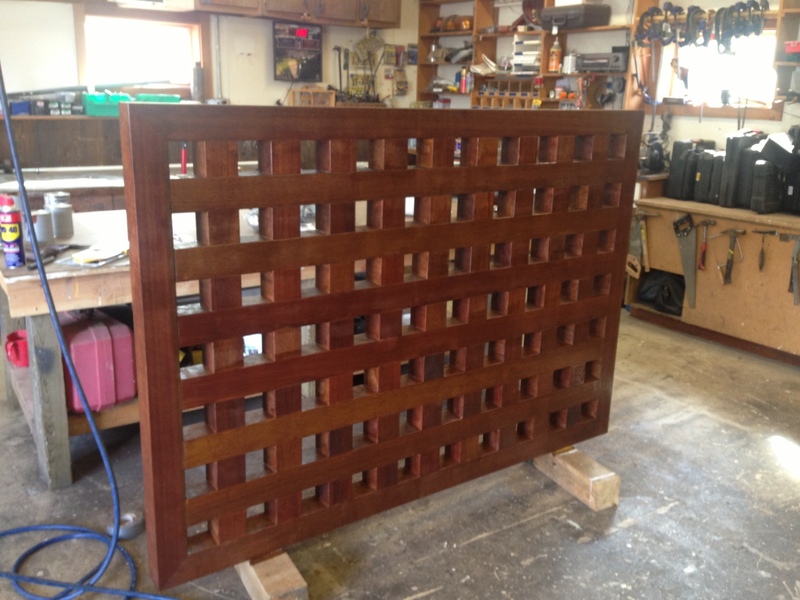 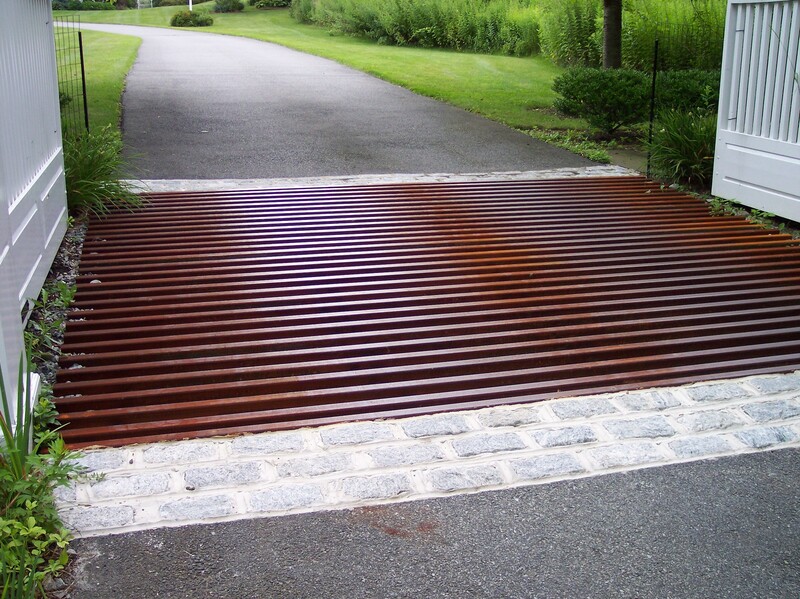 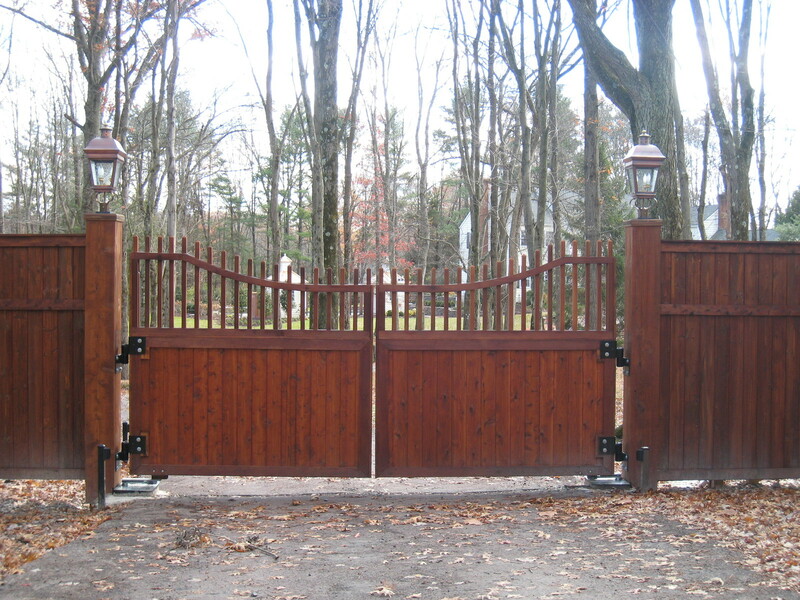 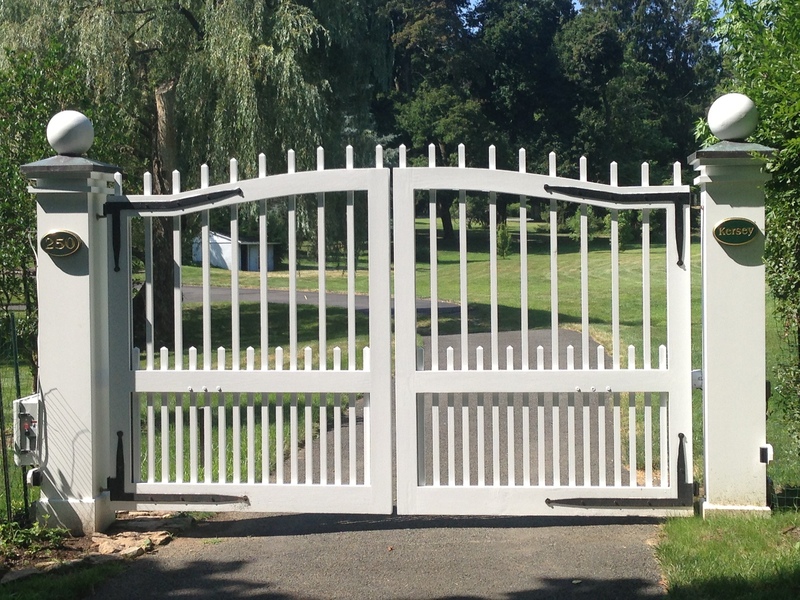 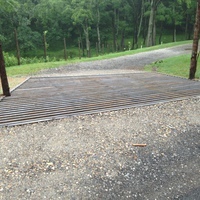 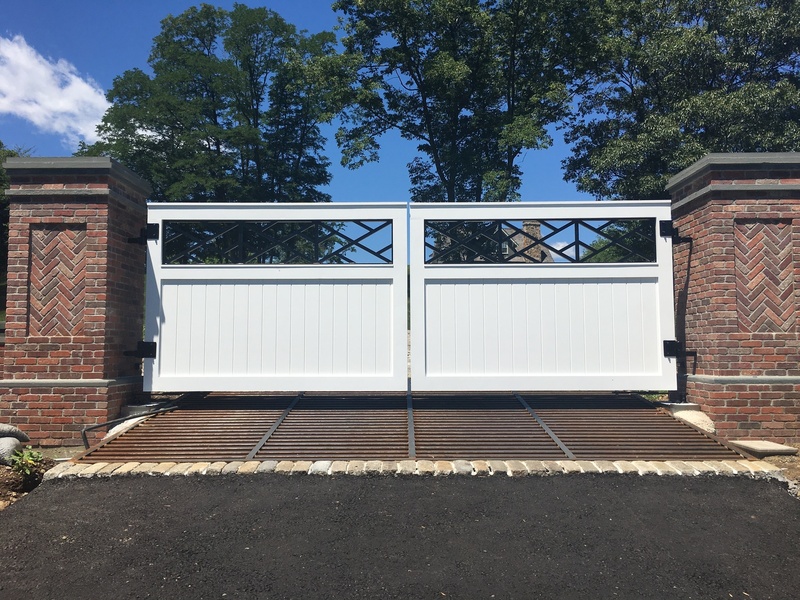 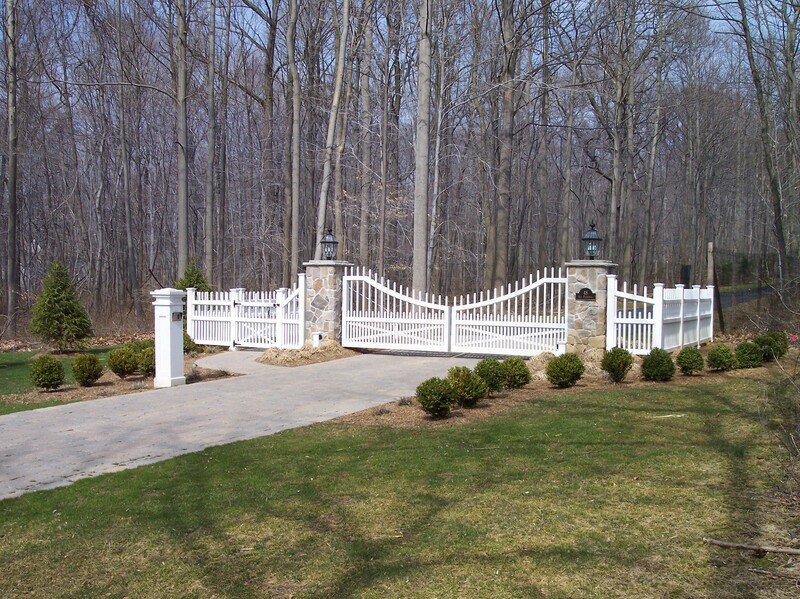 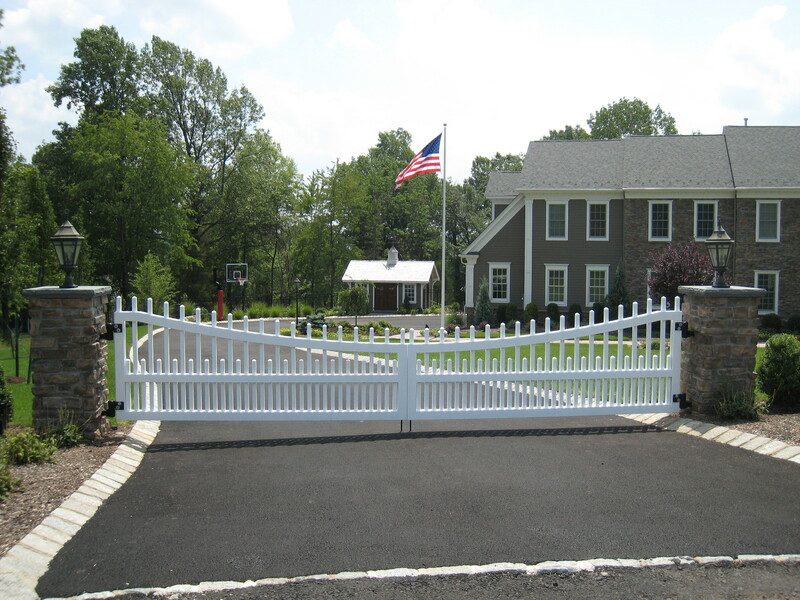 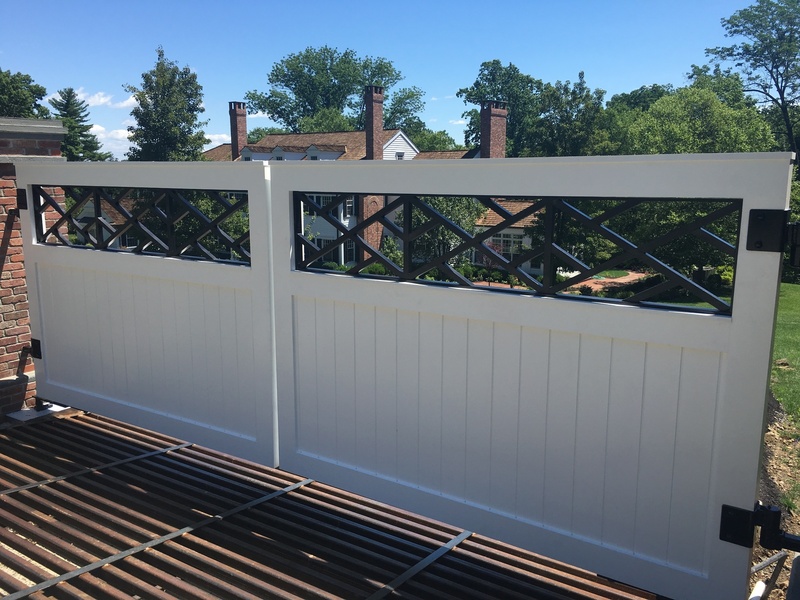 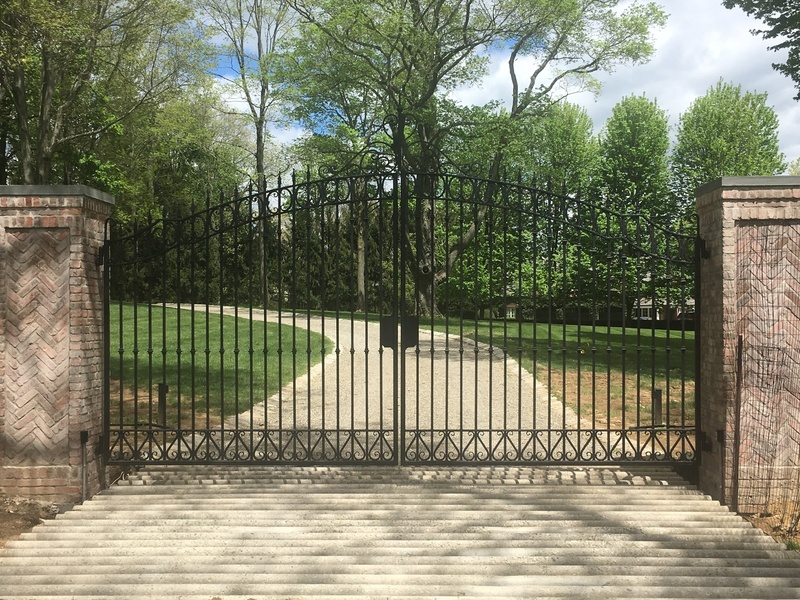 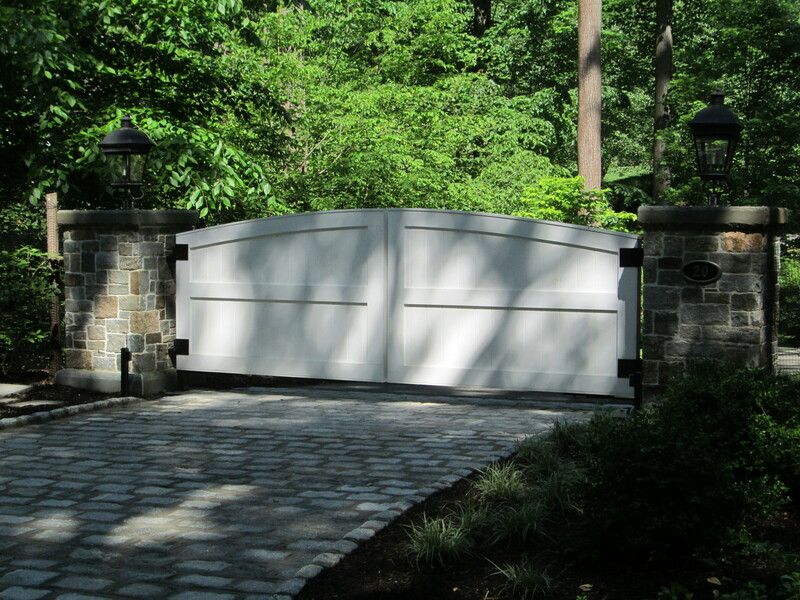 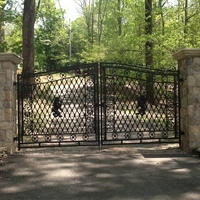 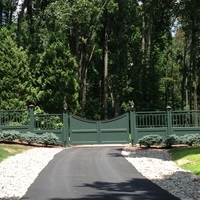 As you will see throughout our gallery we are capable of building any style of gate whether it is wood, aluminum,steel, and now maintenance free gates.